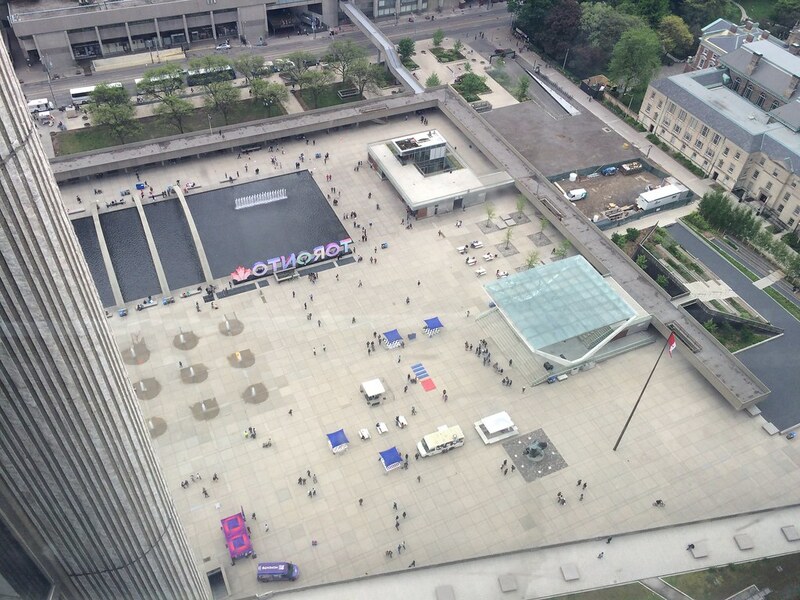 Looking down on Nathan Phillips Square from the observation deck on the 27th floor at City Hall. Buildings of significance in Toronto opened their doors to the public this weekend for the 18th straight year and yet it was the first time I’d ever taken advantage of it. Doors Open Toronto fed my curiosity for what places I’d passed by a million times over the course of my life looked like inside. It also gave me the chance to see unique, panoramic views of the city that I hadn’t seen before. To coincide with rapper Infu’s THINKIN BOUT U track release today, here’s the full, unscripted interview I recently had with him. It was a full house at Dais in Toronto on Wednesday night; fostering connections between Toronto and London’s music scenes was the topic of discussion. The talk was hosted by New Currency and moderated by music journalist Samantha O’Connor. The panelists included JayemKayem, Freeza Chin, Drew Hale and Plain English.